Welcome to the March 2016 edition of the First Monday Library Chat. This month we have the great pleasure of traveling to Leeds and talking to Karen Sayers, Assistant Archivist at the University of Leeds. The Cookery Collection is one of the key collections at the Brotherton Library and was awarded ‘designation status’ in 2005. Could you give us an overview of the collection? ‘The Art of Cookery’ Hannah Glasse, 1755. Cookery A/GLA. Title page of the 5th edition showing the index and the additional recipes in the appendix. The Cookery Collection is primarily focused on recipes for cooking, but also contains many works on food production, the medicinal use of food and gardening. An outstanding feature of the collection is the presence of various editions of popular texts such as Hannah Glasse’s ‘The Art of Cookery Made Plain and Easy’ and Eliza Acton’s ‘Modern Cookery, in All Its Branches’. These allow the researcher to track innovation and changes in taste and fashion. Glasse’s book was first published in 1747 and appeared in 20 editions in the 18th century. 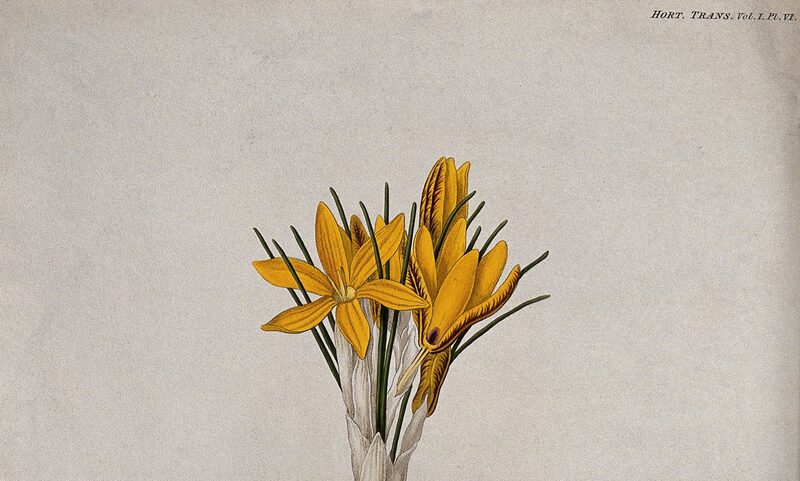 By the time of the fifth edition in 1755 Glasse was appealing to an audience with cosmopolitan tastes! A new appendix contains advice on how ‘to dress a Turtle, the West-India Way’ and ‘how to make India pickle’. ‘A treatise on adulterations of food, and culinary poisons’, Friedrich Accum, 1822. Cookery A/ACC. Title page with a warning quotation from the Bible and an illustration of a snake and skull to reinforce the author’s message. 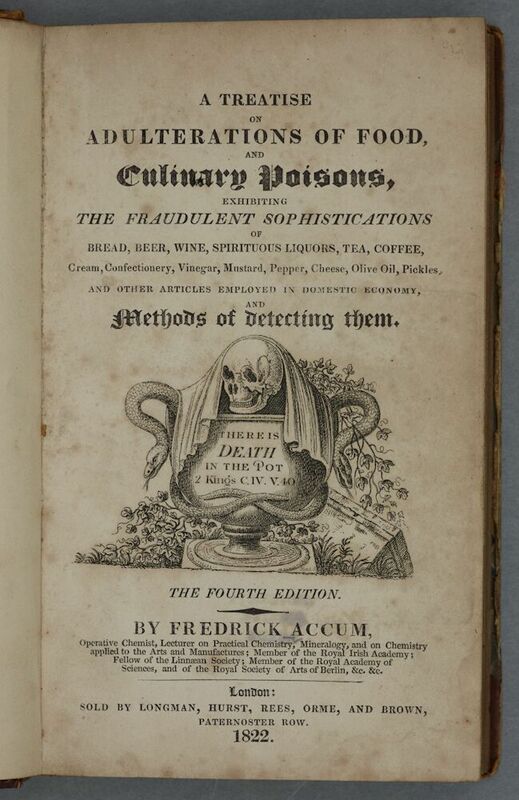 ‘A Treatise on Adulterations of Food, and Culinary Poisons’ by Friedrich Accum, (1820), is a practical text warning its readers of the dangers that can lurk in food including everyday items such as bread, beer and cheese. Accum was a practicing chemist who wanted to keep dangerous additives out of processed foods and to inform the public. His treatise was controversial as Accum was not afraid to name manufacturers who were adulterating food. However some of his revelations may have put readers off their favourite treats! Accum reveals that white wine can be adulterated with lead to make it clear, and ginger lozenges may contain pipe-clay as a part substitute for sugar. We also have interesting cookery manuscripts including recipe books compiled by individuals. One 18th century notebook MS 894 signed by Mary Lee and Henry Danvers Hodges has recipes for ‘cake, a good one’ and, less appetisingly, ‘soop meagre’. Mixed in with the recipes are cures for various ailments such as ‘The American Receipt for the Rheumatism’. The recipe, which involves a lot of garlic, ought to be effective as the writer claims that ‘a hundred pounds has been given for it’. For those of us interested in the history of archives, I wonder, could you tell us a little more about the history of The Cookery Collection? The Cookery Collection began with a donation of 1,500 printed volumes and some manuscript volumes presented to the library by Blanche Legat Leigh in 1939. The oldest item in her collection is a Babylonian clay tablet of about 2,500 BC inscribed with a list of foods in cuneiform; and the oldest European book is Platina’s ‘De Honesta Voluptate’ in a 1487 edition printed in Venice. In 1954 the Times Bookshop in London held an exhibition ‘Cookery Books 1500-1954. Some books from the Blanche Legat Leigh collection were on display. This encouraged a private collector, John F. Preston, to donate 600 British volumes published from 1584 to 1861 to Leeds in 1962. These include the first edition of Mrs Beeton’s Book of Household Management. In the 1980s Leeds acquired the Camden Library Cookery Collection. The most notable feature of this collection is its coverage of English cookery books published from 1949 to the mid-1970s. Special Collections acquired the Michael Bateman Collection in 2011. Bateman was a pioneering food journalist who wanted to enhance people’s diets and palates through his writing. Beer and ale brewing has been a popular topic on our blog of late, I was delighted to see that the Brotherton has a rich collection of texts on the history of brewing. Could you tell us a little more about the Chaston Chapman collection? Alfred Chaston Chapman (1869-1932) was an analytical and consulting chemist who worked primarily in relation to brewing. He was President of the Institute of Brewing from 1911-1913. His collection of books on the history of brewing was donated to the University of Leeds in 1939. The subjects covered include wine and winemaking, distillation and the distilling industry, drinking customs, ciders and whisky, and legal issues surrounding alcohol. The brewing collection makes for fascinating reading and contains some entertaining and amusing titles. Of note are ‘The Anatomy of Drunkeness’ a Glaswegian publication from 1840, and ‘The History and Science of Drunkenness’ an illustrated volume published in 1883. The Chaston Chapman collection is relevant to student social life both past and present, containing an 1835 edition of ‘Oxford Night Caps: Being a Collection of Receipts for Making Various Beverages Used in the University’. An intriguing collection of concoctions, it contains a recipe for Oxford Punch. Among the required ingredients are six glasses of calves-feet jelly, the juice of four oranges and ten lemons, half a pint of white wine, a pint of French brandy and a pint of Jamaica rum. Can you highlight one or two of your favourite items? 3) ‘Pomona: or the Fruit Garden Illustrated’, Batty Langley, 1729. Large Cookery A/LAN. 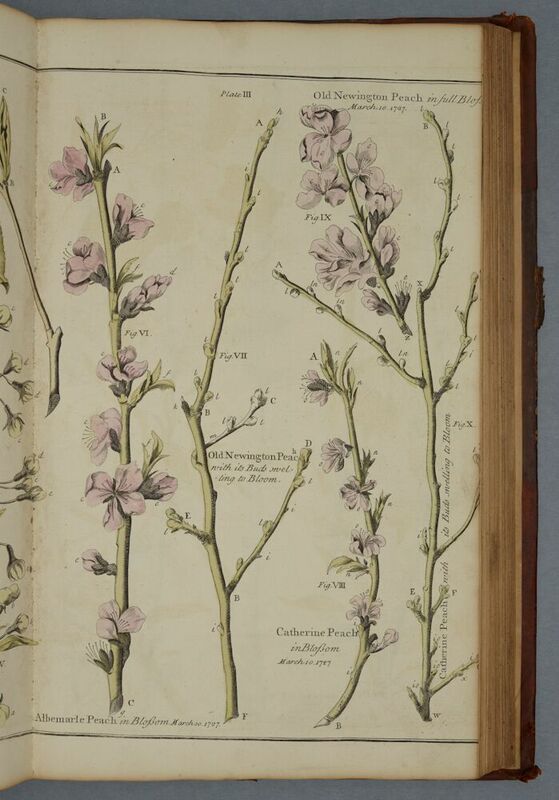 Plate 3, showing the blossom on different varieties of peach trees. As a keen gardener one of my favourite items in the collection has to be ‘Pomona: or the Fruit Garden Illustrated’ by the delightfully named Batty Langley. It is full of practical advice for the gardener on the growing of fruit including peaches, cherries, plums and grapes. Langley gives practical advice on pruning and caring for plants and about picking and preserving their fruit. He asserts that cherries ‘are best eaten from the Trees, after a shower of rain’, adding helpfully ‘but most commonly out of spring water after dinner’. Langley has drawn detailed illustrations of the blossom, buds and fruit of various trees. 3) ‘Pomona: or the Fruit Garden Illustrated’, Batty Langley, 1729. Large Cookery A/LAN. 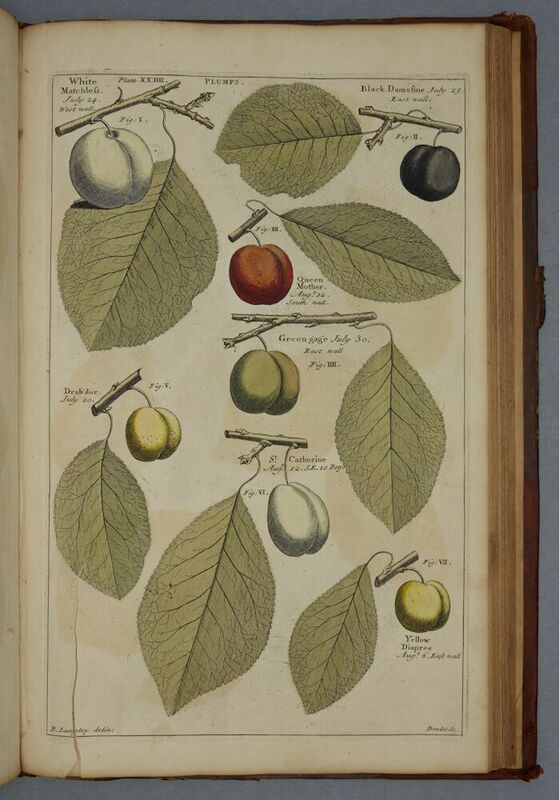 Plate 24, showing different varieties of plums. What tips can you offer to help users find them via your catalog or finding aids? The best tip is to access the Cookery Collections Guide on Special Collections’ webpages. This is a good way to gain an overview of the content of the collection. A dedicated search box enables the users to carry out searches within the cookery collections only. The webpage for the collections’ guide provides direct links to some of our major holdings including Cookery Printed Books and the Michael Bateman Archive. We have also grouped all our Cookery Printed Books and Cookery Manuscripts together in two distinct collections to help researchers to navigate the catalogue. If you want advice or wish to visit Special Collections please email us. To follow Katherine Allen’s post on tobacco: some thoughts on a different colonial import. Researching in recipe books often presents tempting diversions, and this recipe for ‘Pilau after the East Indian manner’ looks pretty tasty. 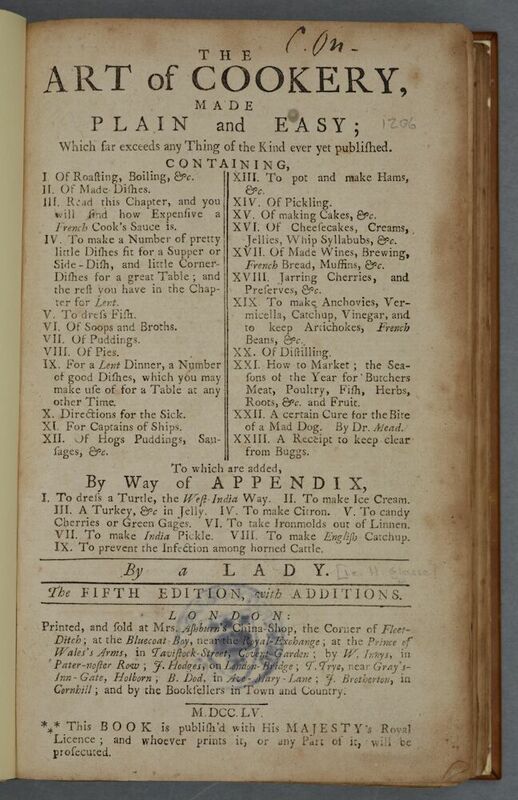 Sarah Tully [and others], Book of receipts for Cookery and Pastry, eighteenth century. Wellcome Library MS 8687. Image credit: Wellcome Library (author’s own photo). Boil half a pound of Butter to a pound of Rice & when the Butter is turn’d to Oil put in some Mace Cloves whole pepper & cinnamon together with the Rice and stir it about & let it fry till the Butter is almost dryd & soak’d away, Let a Fowl at the same time be boiling in Mutton Broth till it be enough & then pour as much Broth upon the Rice as will cover it about three Inches & let that boil away without stirring, only raising it now & then from the bottom for fear of its being burnt, then add by degrees a little & little more Broth until the Rice is boiled th[r]ough and quite Dry, then Dish it, putting the Fowl in the Dish first & pouring the Rice over it with some Salt according to your Taste. The recipe comes from Sarah Tully’s recipe book which she probably began when she married Sir Richard Hoare, heir to Hoare’s bank and, by 1745, Lord Mayor of London. A portrait of Sarah Tully in the National Trust collection depicts her amid rural scenery, dressed as a shepherdess. Unfortunately, Sarah died only four years after her marriage. She left one son, and other anonymous hands continued her recipe collection. We have seen in recent posts about chocolate and gingerbread that spices such as cinnamon and cloves were common ingredients in the early modern household, but the Hoare household seemed to have been uncommonly fond of foreign flavours for their time. Recipes include ‘A Loyn of Mutton Kebob’d’, ‘currie powder’ and ‘Indian pickle’, in addition to cosmopolitan European recipes for ‘Parmason cheese’ and ‘Fromage Fondu’. Hoare’s Bank held investments in the South Sea Company, Royal African Company and East India Company. While other investors including Isaac Newton lost a great deal of money when the South Sea bubble burst in 1720, perhaps the fact that Hoare’s Bank made a substantial profit from ‘riding the bubble’, contributed to their culinary as well as financial enthusiasm for the exotic. Several printed books from the late seventeenth century mention pilau (other spellings include pellow and peelaw). In the 1690s, Simon de La Loubere’s A New Historical Relation of the Kingdom of Siam explained that ‘the Levantines, or Eastern People, do sometimes boil Rice with Flesh and Pepper, and then put some Saffron thereunto, and this Dish they call Pilau’ while Antoine Galland described ‘a great Dish of pilau’, made of rice, and dressed with butter, fat or gravy. Other writers were less than complimentary; according to Jean-Baptiste Tavernier’s Collections of travels through Turky into Persia (1684) the Turks’ use of three pounds of butter to six of rice (the same ratio as in Sarah Tully’s recipe), made the dish ‘so extraordinary fat, that it disgusts, and is nauseous to those who are not accustom’d thereto, and accordingly would rather have the Rice itself simply boyl’d with Water and Salt’. In 1709, William King dismissed Peter Heylin’s suggestion that the inspiration for European silver forks had originally come from China, scoffing that ‘These sticks are of no use but for their sort of meat, which being Pilau, is all boil’d to Rags’. It is likely that the pilau recipe in Sarah Tully’s book dates from the middle of the eighteenth century; Hannah Glasse’s The Art of Cookery Made Plain and Easy (1747) contained what seems to have been the first published curry recipe in England as well as a very similar recipe to Tully’s for ‘a pellow the Indian way’–though in Glasse’s recipe the fowl is also accompanied by bacon, half a dozen hard eggs and a dozen onions ‘fried whole and very brown’. By the nineteenth century, ‘curry’ was commonplace in English households – even if the pre-mixed powder commonly used bore little relation to its ‘authentic’ Indian roots. Dating recipes is one thing, but understanding their meaning in households is another. In Nabobs (2010), Tillman W. Nechtman argues that hookah pipes, turbans and curry powder exposed Britain as ‘an irretrievably imperial nation’, but, as Troy Bickham has commented, it is difficult to find evidence of how items such as recipes were used in practice. 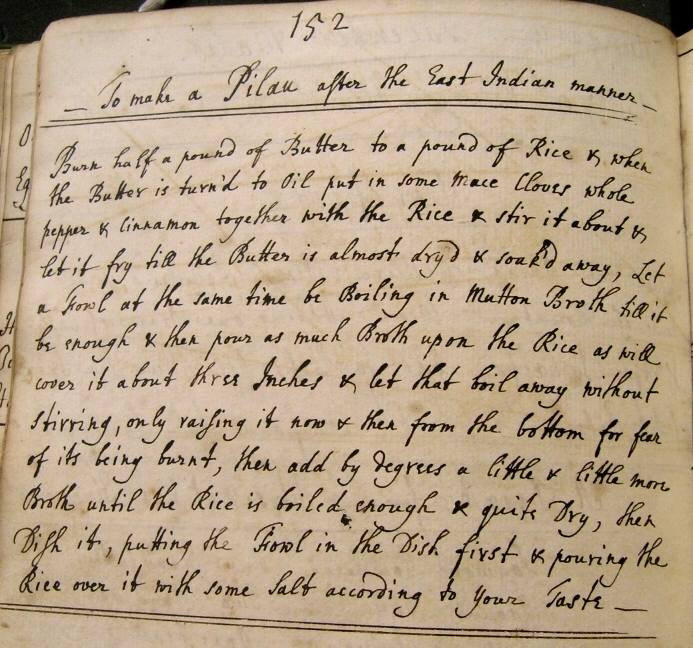 This early pilau recipe copied into a private book suggests that recipe collections might be a good source for understanding the changing ways in which the empire was incorporated into the daily routines of British homes. I’ll admit, I’m still tempted to make this pilau, though maybe I will leave out some of the butter.